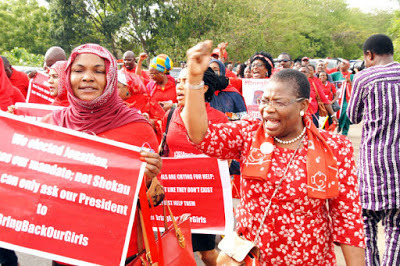 A representative of Bring Back Our Girls Group (BBOG), Aisha Yesufu has warned Nigerian leaders to stop marrying teenage girls. “If we keep saying something and doing the opposite, it makes no sense”. “A situation whereby someone already has three wives, and then goes to marry a girl who is 30 years his junior, because he is a leader; what does that say to other girls her age?” she queried. Ms. Yesufu added that the society should treat as paedophiles men who marry girls in their early teens just because they feel capable of ensuring medical treatment that might sustain her health.